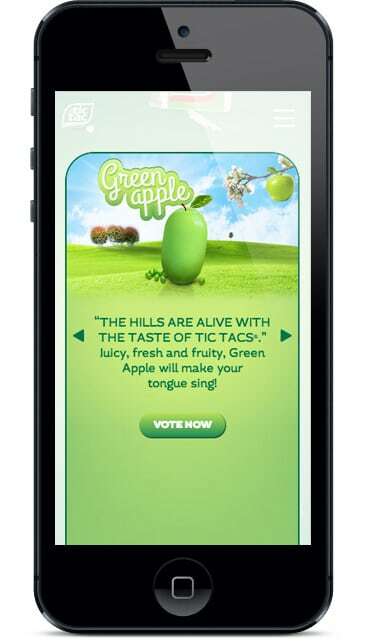 When Tic Tac was readying the launch of an extended line of flavors to widen its share of the candy and mint category, it turned to mobile to get the news out to its all-important 18- to 24-year-old target market. A lively and colorful mobile game let players vote for their favorite flavor; an amazing 115 million votes were cast. “Some campaigns get results. Some campaigns are fun. It doesn’t always work out that they’re one in the same,” says Pamela Coolican, brand manager for Tic Tac. There’s no doubt that marketers are having success using mobile as a brand-building tool, but there’s still plenty of skepticism out there. 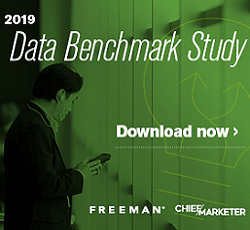 CMOs are steering clear of loading up mobile marketing budgets with about 77% wanting to see more positive results before they plunge fully in, according to an April CMO Council report. And just a mere 14% of senior marketing executives were satisfied with the state of their mobile relationship strategies and programs. Even more striking was that only 16% of marketers had a formal strategy for leveraging mobile engagements. If you’re looking for a leader to follow—or one to steal ideas from—look no further than Starbucks. It’s one of the most effective companies using mobile apps and is a leader in terms of mobile payment technology and adoption and the way it has managed its loyalty rewards program. The company collects personal information up front, and in turn, provides a great mobile experience. There’s no doubt that mobile users not only want but are taking advantage of using their mobiles as a payment device. More than 40 million U.S. consumers, or 20% of all smartphone users, used at least one mobile-proximity or mobile ecommerce wallet in 2013, and usage will increase to nearly 113 million, or 43% of all smartphone users, by 2017, a report from Points says. The news here for CMOs is that if you’re just pushing out—or providing access to—information, you’re missing out. Providing utility—mobile payments—and interaction—get a free coupon—is what is really engaging mobile users. Apps can play a big role as a stand-alone tactic or integrated into a larger marketing program. Some 40% of marketers in the CMO study planned to invest in mobilizing content or web properties, with another 32% planning to launch an app. Take for example, the “LA Kings Player of the Month” game presented by McDonalds, which operates on an app that was downloaded 160,000 times. Once a month during the season, hockey fans got the chance to vote for the player they believed performed the best over the course of the month. 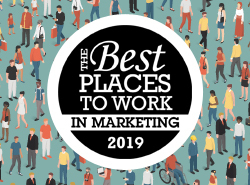 But, for the players, it’s more than just casting a vote, game play brings in that interactive element that marketers need to move the experience beyond just information, like game scores and schedules. McDonalds is the presenting sponsor of the team and wanted more than just a logo lockdown at the arena, so it integrated into the game. Each vote cast by a player triggers a McDonalds’ coupon and the players who share their vote with their social circles get a coupon and the chance to win a signed jersey from the Kings. The game also lives on the Kings website and Facebook page; it wrapped up in April with the player of the year. Then there’s the online grocer Peapod, which put up big mobile billboards that mirror grocery store isles where mobile users can scan a barcode through a development on its app and add it to their grocery list. And Macy’s in Union Square in San Francisco and Herald Square in New York ran trials last year pinging app users as they walked by products. And then there’s Tic Tac. For the launch of its new flavors, Tic Tac teamed with agency Noise Digital, which looked into that 18- to 24-year-old target market’s mobile habits and mined other data to best understand how—and through what types of promotions—to reach these mobile users. Insights from previous work found that simple, fun and repeatable micro engagements with smaller rewards were more effective for this group than campaigns with larger and fewer incentives, says Alison Belot, account director at Noise. The learnings also indicated it would be important to let fans decide the next Tic Tac flavor themselves. The idea for the “Tic Tac Flavor Faceoff” surfaced. An website app was developed that offered a simple and fun voting system. Players shook their phones to make their favorite flavored Tic Tac fall to cast a vote, or used their mouse to click if they were playing on their desktops. A social media promotion highlighted the “rational and emotional reasons” to vote for the new flavors—Green Apple, Cinnamon Spice, Cooling Wintergreen—each of which assumed its own unique personality. In return for game play, each vote provided a chance to win instant prizes and counted toward an entry for the grand prize: $5,000 and a year’s supply of the winning flavor. Players who shared the content on Facebook received bonus entries for the grand prize. Fun messages encouraged repeat game play. Facebook media and Buzzfeed were leveraged to drive awareness and contest entries. Facebook ads drove users directly to the contest, while the contest was embedded directly on Buzzfeed using an iFrame. The results were impressive: in addition to the 115-plus million votes cast, there were 40,000-plus unique contest entrants, the average game play was 16 minutes and there were 90,000 contest shares on Facebook. The newly elected flavor, Green Apple, began appearing on store shelves in February. “We knew that consumers would be more likely to engage if their friends were also participating,” Belot says. “We also knew that Tic Tac fans love to talk about fantasy flavors. In another example, after a digital strategy, which included mobile optimization and tailored offerings, Season 3 of Spike TV’s “Ink Master”—which aired last fall—was the biggest Spike show ever viewed on mobile, with 1 million visits. Helping draw viewers to the show was the “Skin in the Game” mobile-optimized game that let fans be a fourth judge for the show. Players zoomed in on high-resolution photos of tattoos to choose their pick for the “Ink Master” elimination challenge. In Season 3, the votes brought back two eliminated “Ink Master” contestants, allowing them to compete in the live finale to be brought back for Season 4. The game was promoted on Spike.com, social media channels, and in on-air lower thirds, encouraging viewers to engage with the series on a deeper level. “Skin in the Game” was viewed nearly 2 million times on cross platforms (desktop and mobile) throughout the season, with nearly 190,000 total votes cast. Photos were shared to Facebook and other social networks over 150,000 times, which greatly extended the reach. CMOs reported last year that over the next three to five years they plan to make greater use of mobile applications (94%) compared to 80% in 2011 on a list of “intended use of digital technologies,” according to the recent Global CMO Study from IBM. Apps were second only to advanced predictive analytics, also at 94%, versus 66% in 2011. Giving apps an even higher status in the marketing tools box, these CMOs ranked designing customer experiences for the table or mobile app as the top priorities for managing digital change, the same top goal for 2011.